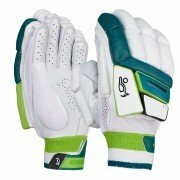 Kookaburra Batting gloves new for 2018 at All Rounder Cricket. 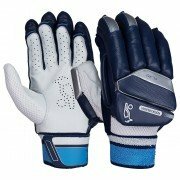 Kookaburra manufacture cricket batting gloves for some of the best players in the world. They are renound for their excellent quality, protection and comfort, as well as striking aesthetics. Kookaburra leads the cricketing world with expertise in product and graphic design that ensure Kookaburra products are of consistently higher quality and specification than other products in the market. The 2018 Collection has been developed with the assistance of both ‘Team Kookaburra’ and leading club players to produce the definitive portfolio of products, catering for players at every level of the game. Kookaburra brand ambassadors A.B De Villiers, Ian Bell, Jos Buttler, Martin Guptill, Glenn Maxwell and the latest recruit to team Kookaburra Usman Khawaja. 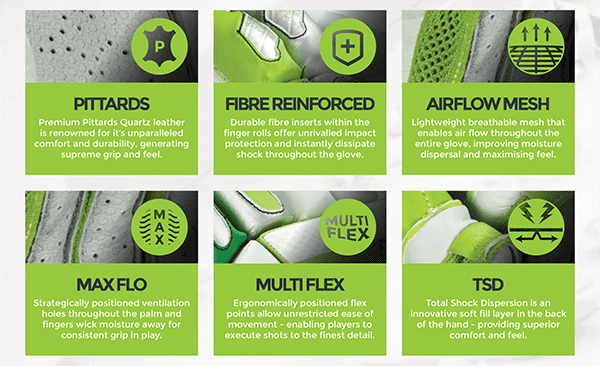 We are stocking a wide range of Kookaburra batting gloves for the 2018 season, so whatever you budget, age or standard of play you will not be disapointed by the 2018 Kookaburra range of batting gloves available at All Rounder Cricket, see below for the ranges available. Surge - Pro, 800, 400. Ghost - Pro, 700, 250. 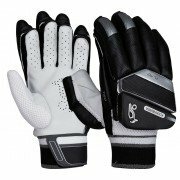 You get the best of both worlds with Kookaburra, look fantastic and be safe in the knowledge you have fantastic protection and support at all times. At All Rounder Cricket we offer some of the best products at the most competitive prices you will find anywhere.